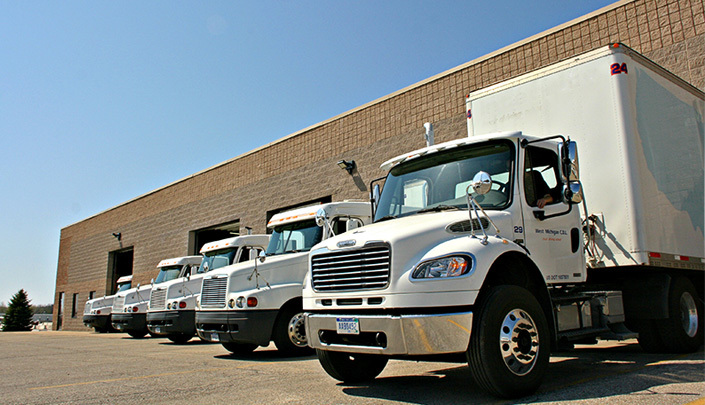 West Michigan CDL provides the most comprehensive CDL training in the state of Michigan. WMCDL is a dedicated CDL license school that wants to set you up for success which is why we offer daytime, nighttime and weekend CDL classes. You can attend our CDL license school and obtain your CDL license in three short weeks. WMCDL provides students with the most behind the wheel CDL training of any CDL license school. If you want to attend CDL classes at a reasonable rate, then choose WMCDL! If you have already decided that you’d like to attend a CDL school, then it’s time to determine what CDL school to attend. Holland, Michigan is close to the eastern shore of Lake Michigan and is located in the western part of the lower peninsula. Citizens of Holland that want to attend a CDL license school can rest easy knowing WMCDL is only a short distance away. WMCDL helps make CDL training and testing easy! The residents of Holland know that if they want to attend the best CDL classes to contact WMCDL. Students choose WMCDL because we offer job placement options to ensure you have a variety of job opportunities when you finish your CDL training. Ensure a successful career when you attend our CDL license school. WMCDL gives students the advantage of working with experienced professionals that will provide you with insight on real-life situations. If you have any questions about our CDL classes, then contact West Michigan CDL today at (888) 550-4947!